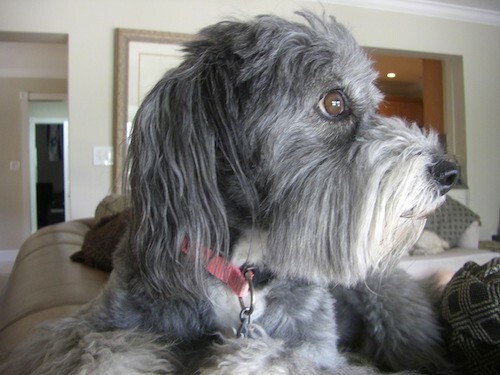 "We rescued Lucky from Adopt-A-Stray. 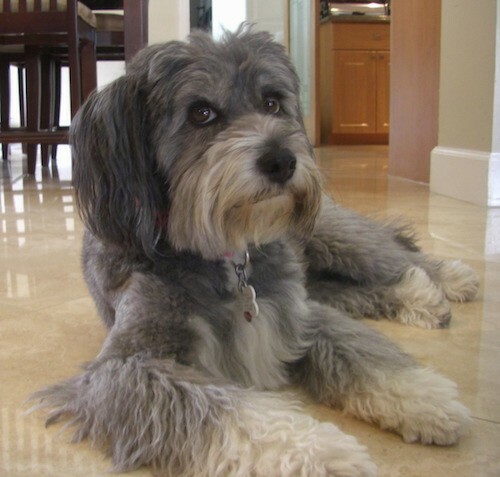 Everyone, including the vet, was sure she was a Schnoodle (Schnauzer/Poodle mix), so much so, that friends who wanted a dog like Lucky went to Schnoodle breeders. 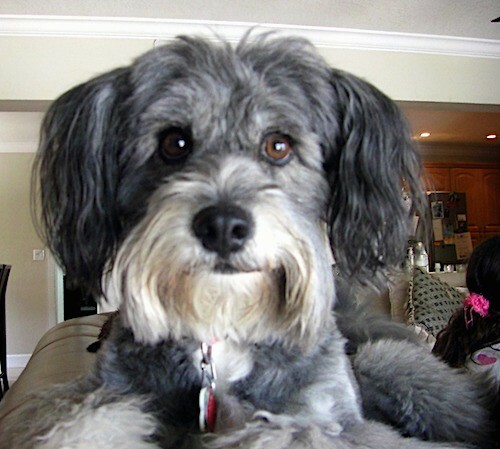 When their dogs looked nothing like our Lucky, we would stick our noses up in the air and assume that our dog was an F1 perfect 50% Schnauzer/50% Poodle. Well, we were knocked off our pedestal when Lucky's Wisdom Panel came back. She's Norwich Terrier, Weimaraner and American Eskimo. She sleeps in our bed (under the covers with her head on a pillow), sits at the dining room table, but wouldn't touch the food or beg. She looks away if you make eye contact with her at the dinner table. 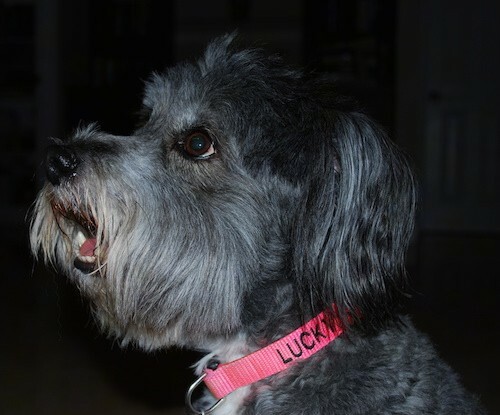 People who truly aren't dog lovers have falled in love with Lucky. She is like our third child. She's just a little hairier, walks funny and has a speech impediment." 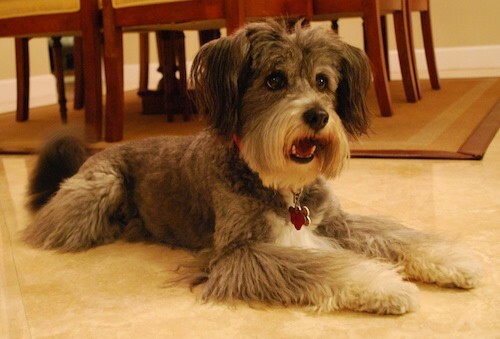 Lucky the Norwich Terrier, Weimaraner and American Eskimo mix breed dog.